It’s been more than a decade since the last Jurassic Park movie debuted in theaters, so anticipation is high for the upcoming Jurassic World. 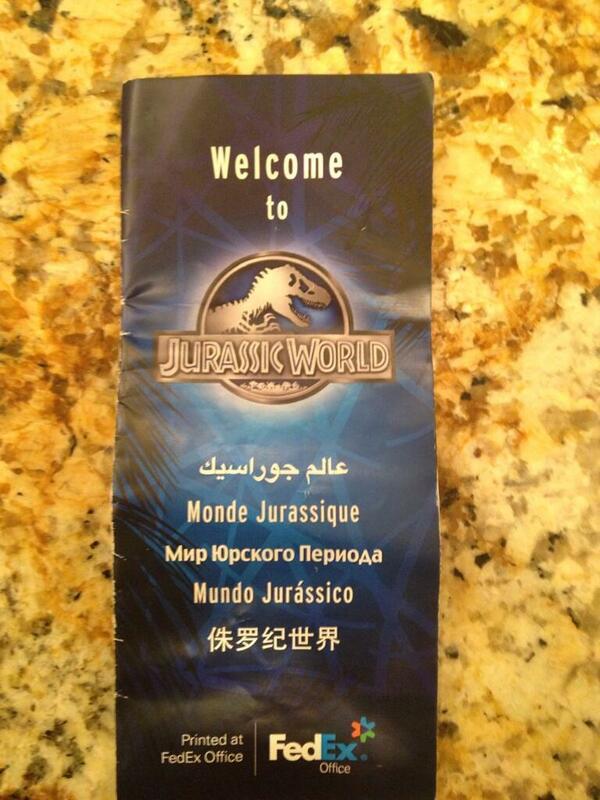 There’s been a steady flow of cryptic images from the set of the film, thanks to director Colin Trevorrow, and now a new set of photos have found their way online featuring the dinosaur park’s brochure. Six photos of the brochure were posted by Twitter user @jurassicp2k15, and the images offer a peek at a new and improved park that has gone through some changes since the events of the first film. With Jurassic World set more than 20 years after 1993’s Jurassic Park, some updates were bound to happen… but a golf course? The brochure images also offer some indication of which dinosaurs made the cut for this installment of the series, as well as a nice reminder not to tease the dinosaurs. (We all know what happens when the dinosaurs get fussy, don’t we?) The brochure is also jam-packed with corporate sponsorship from the likes of American Airlines, Coca-Cola, and Starbucks — which is actually pretty realistic, frankly. There’s also a reminder to watch an instructional video hosted by Jimmy Fallon at the Gyrosphere attraction. You can check out a few of the brochure photos below, then head over to Twitter for the rest. Jurassic World hits theaters June 12, 2015, and stars Chris Pratt, Bryce Dallas Howard, Ty Simpkins, Irrfan Khan, Vincent D’Onofrio, BD Wong, Judy Greer, Katie McGrath, and Lauren Lapkus.